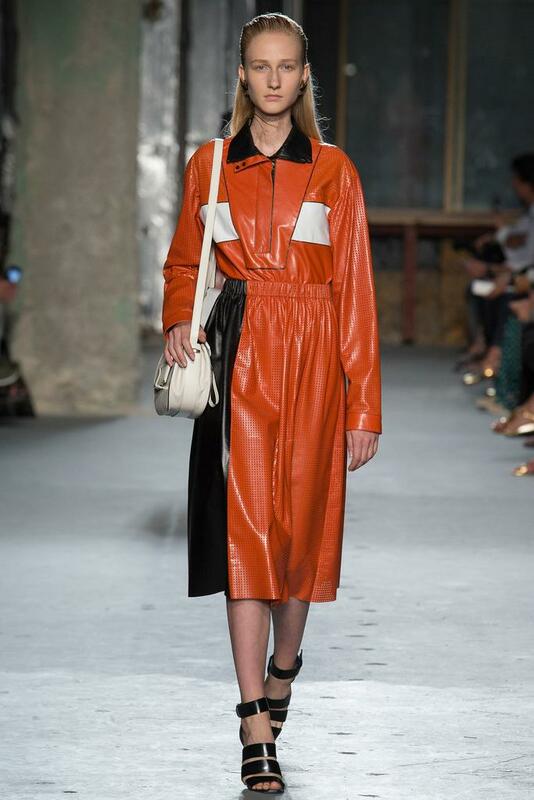 The Spring 2015 Ready-to-Wear collections have been skewing towards very sporty. 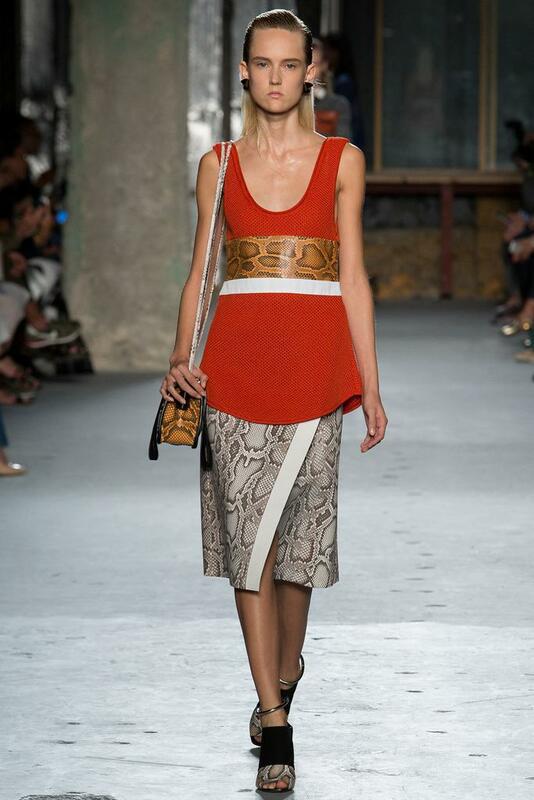 Proenza Schouler is getting in on the game too, with their Spring 2015 collection. 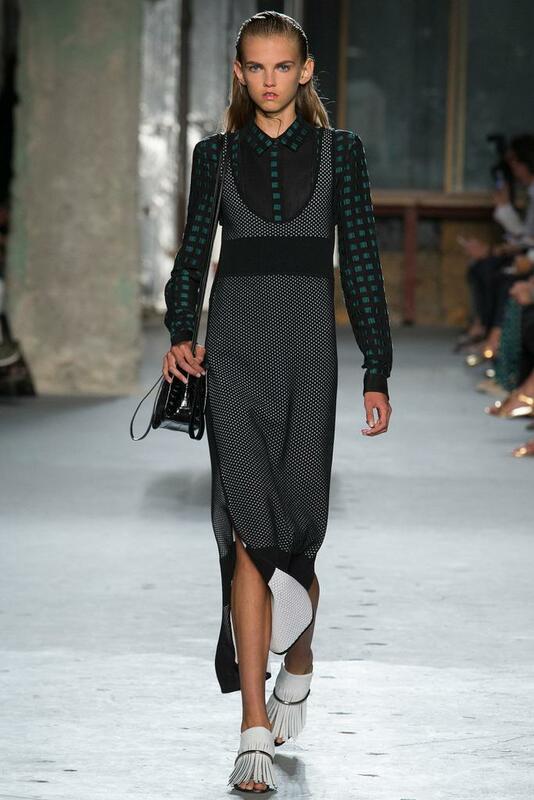 Proenza Schouler Spring 2015 is heavy on checked wool separates, sporty colorblocked leathers, python printed leather and woven fringed frocks. 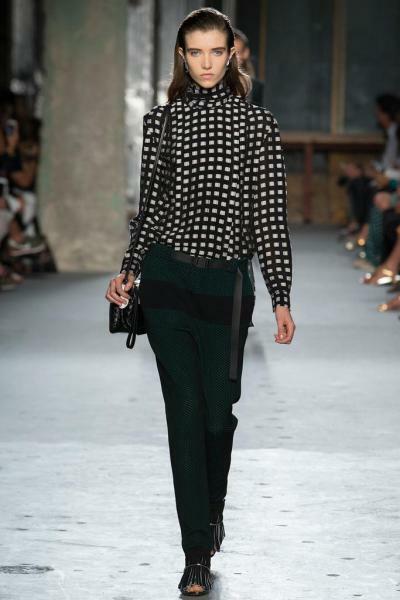 The wool items consist of work-ready separates like high-necked blouses, slim leg trousers and belted blouson dresses. 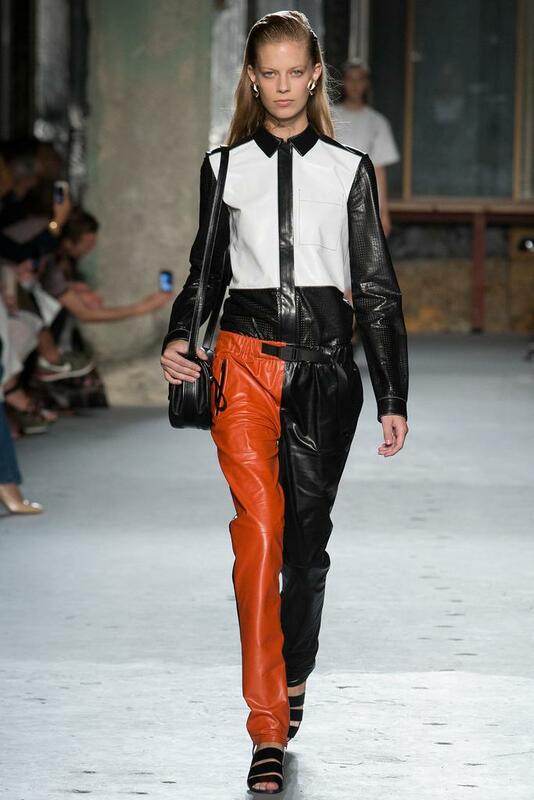 Much of the collection features colorblocked leather looks including midi dresses, two-tone pants and button down shirts. Python leather accents were incorporated into the waists of peplum tops, and T-short dresses. A blue python colorblock leather jacket and matching split skirt was one of the standouts of the collection. Several dresses at the end of the show featured tightly woven bodices with relaxed fringe falling to the ankle. 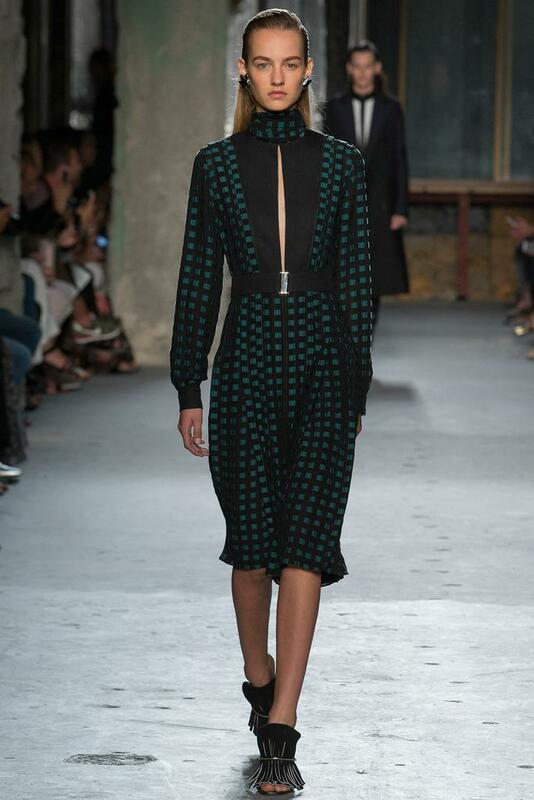 I could see these easily being rocked on the red carpet. 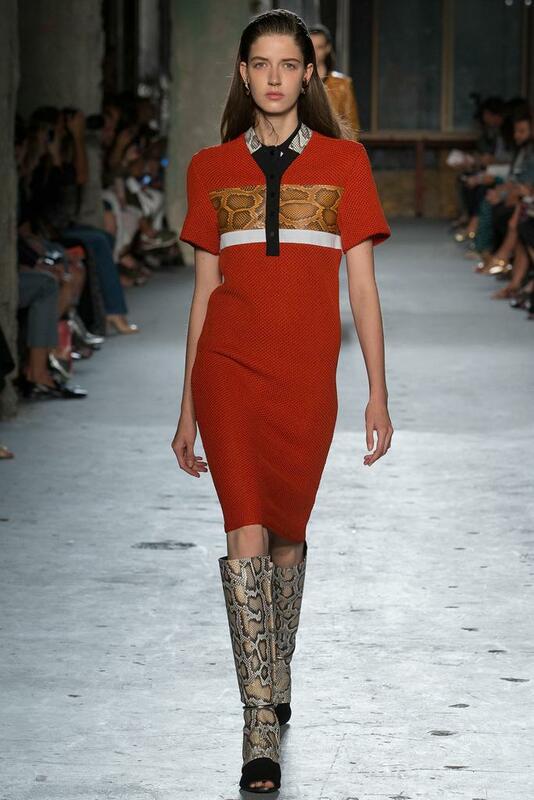 Python boots, mules and strappy leather sandals rounded out the collection. 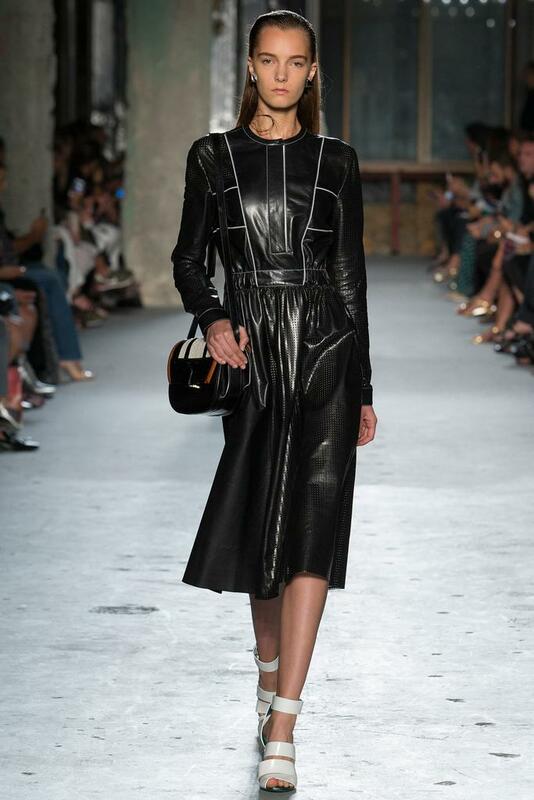 Plus, several new PS shoulder bags hit the runway. The pieces were beautifully constructed but looked surprisingly heavy and dark – more of what you’d expect from a fall collection, save for the orange leather pieces. 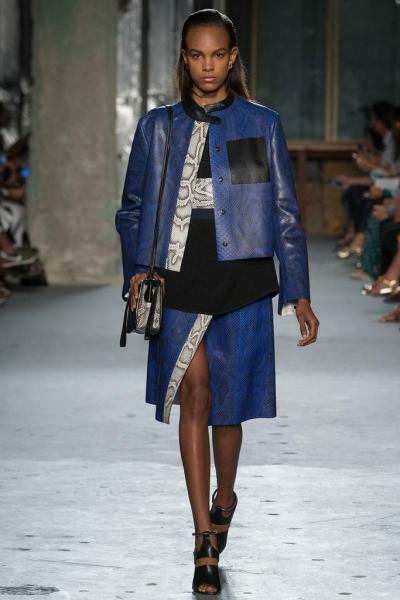 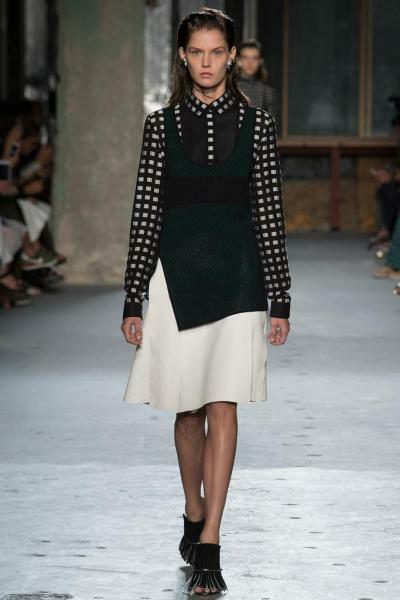 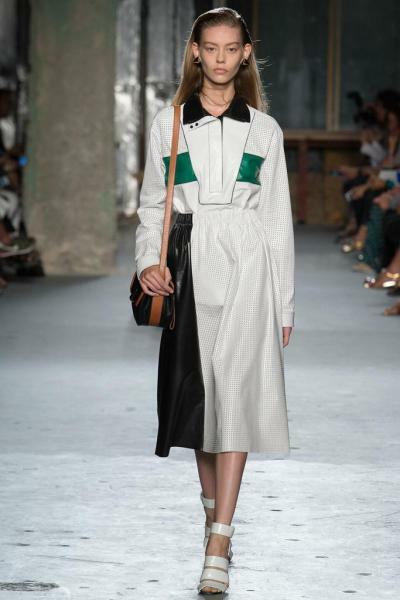 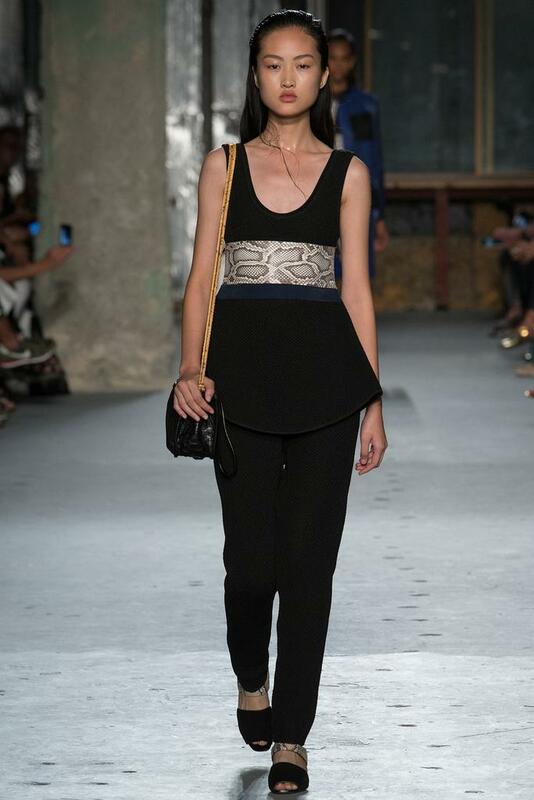 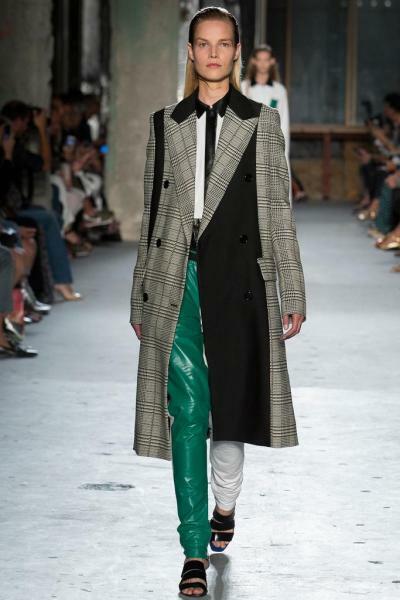 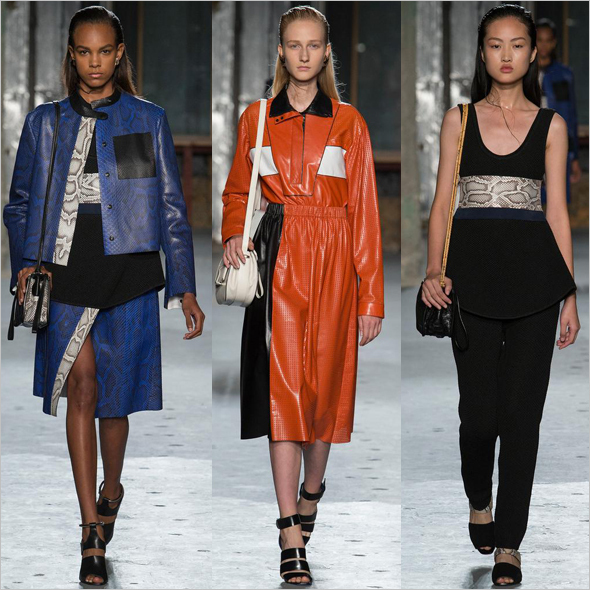 What do you think of the Proenza Schouler Spring 2015 Ready-to-Wear collection?